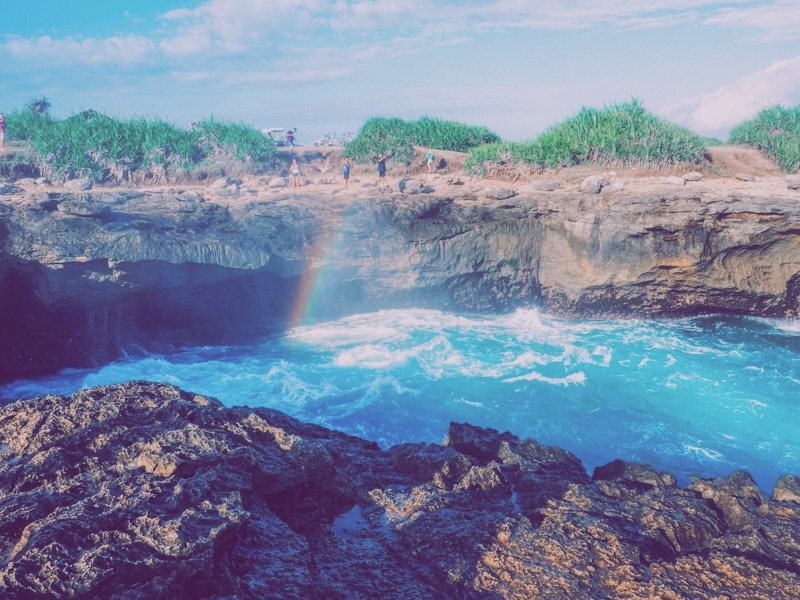 Just a 30 minute speedboat ride from Sanur, the small island of Nusa Lembongan is a must visit on any trip to Bali! 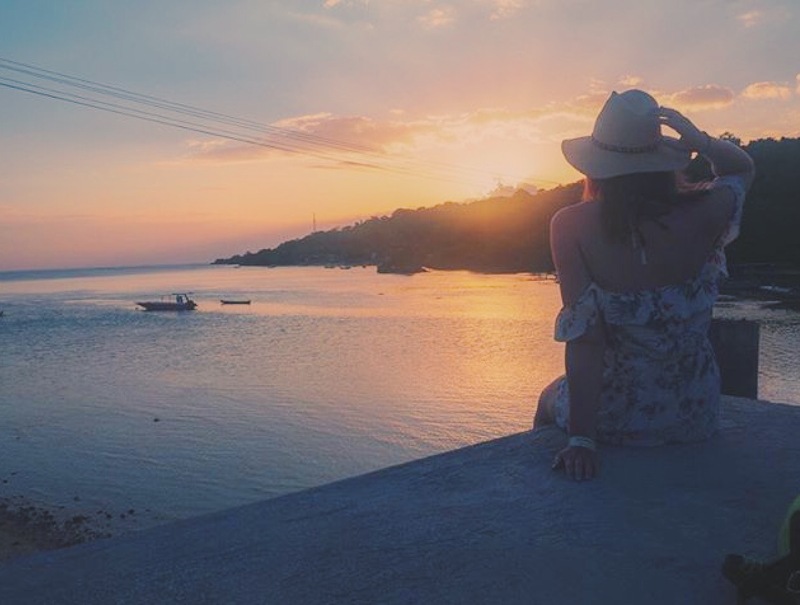 From white sand beaches and coral reefs to adoring locals and delicious sea food, Lembongan is as close to paradise as you can get! Further, its seemingly a gift that keeps on giving because, despite its small size, there’s an endless amount of things to see and do!! One of the most spectacular places to visit on the island is the so called: ‘Panorama view point’. Here, a gap in the trees offers breath-taking views of the bay below. What’s more, on a clear day, you can make out Mt Agung in the background – The highest point in Bali. SIDE NOTE: the best way to get around Nusa Lembongan is by hiring a bike. This can be done on arrival at Jungut Batu Beach, or through your hotel, for around 100,000 IDR a day. The traffic is thankfully much much more relaxed than on the mainland so you won’t be dicing with death by doing so! 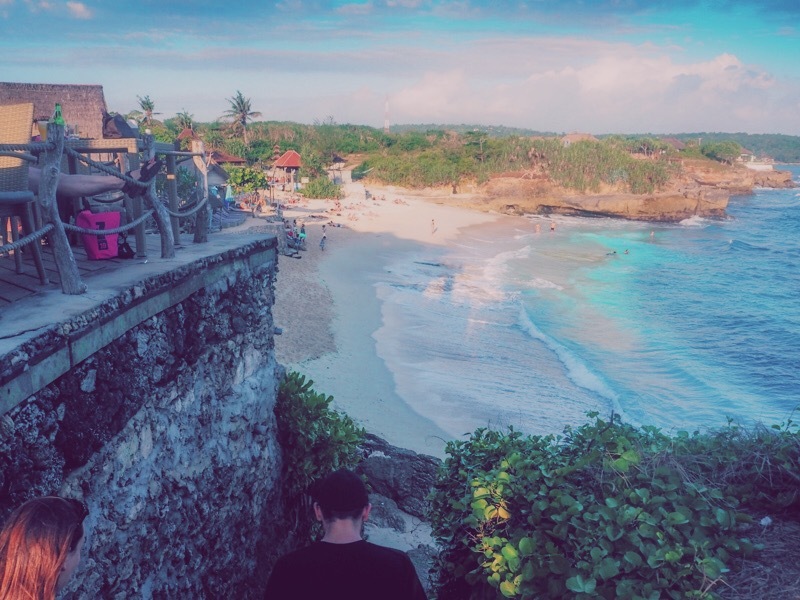 A short walk from the ‘Devils Tears‘ outcrop brings you back to the land of pristine white sand and possibly my favourite beach on all of Bali’s Islands. Honestly, you could spend all day lounging on this beach! A quaint restaurant at the top of the stairs is enough to meet all your refreshment and toilet needs, meanwhile, the beach itself is slightly off the main ‘tourist’ track, meaning you’ll often get the cove to yourself! However, Dream Beach is not one for swimming as a strong swell and massive waves make it quite dangerous. 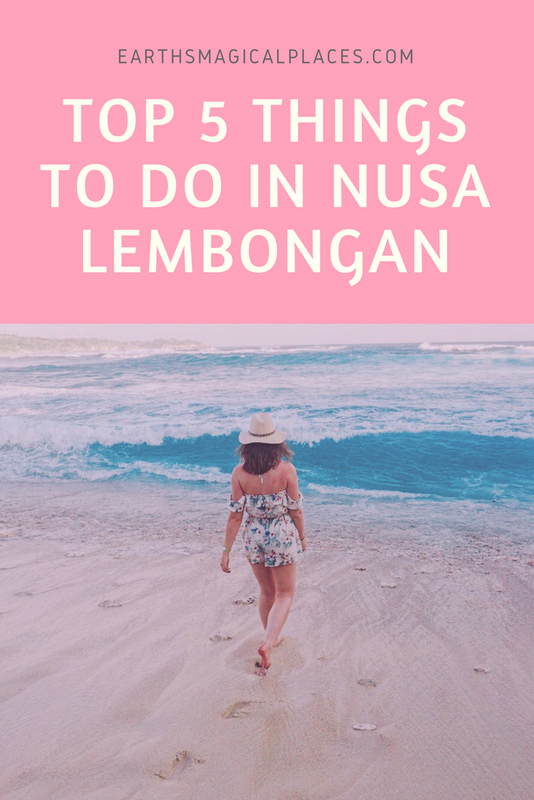 None the less, a visit certainly makes the list of one of the Top 5 Things to do in Nusa Lembongan. SIDE NOTE: Looking for somewhere to swim? The island has several other more sheltered beaches where its safe to take a dip! Such as the equally as picturesque Mushroom Beach. 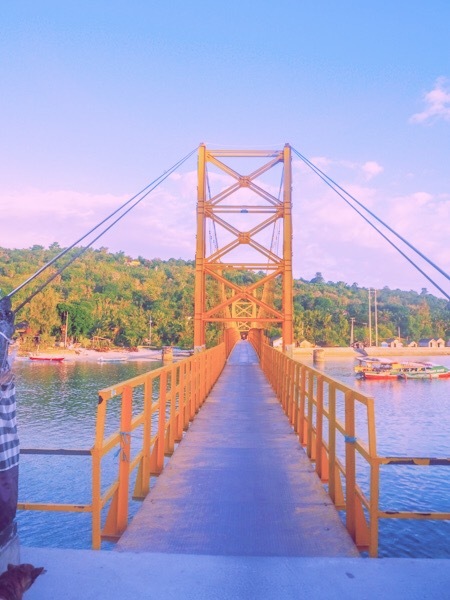 If you venture to the South East of Nusa Lembongan you’ll come across a yellow suspension bridge which is actually a lot sturdier than it looks! This is just as well, as its the only land crossing to Lembongan’s sister Island Nusa Ceningan. Anyway, I digress, Being the only passage to Ceningan you can imagine that this little bridge is a busy place! Despite being just wide enough for a single bike to get across, locals skim past each other, while travellers wait for the coast to be clear before jumping in for a ‘candid’ shot. Other than being a great photo opportunity, and a prime spot for people watching! The ‘yellow bridge’ also has a hidden secret… If you visit in the late evening, you’ll notice a small crowd building. This is because the side of the bridge offers one of the most amazing sunsets I’ve seen in Bali! My last, but by no means least, Top Thing to do in Nusa Lembongan is to take the time to explore the islands Mangrove forest. This relaxing and magical landscape takes up much of the islands North East coast, and is a great place to visit if you get bored of the beach! SIDE NOTE: This said, the beautiful waters around the whole island are fantastic for snorkelling and diving! They’re in fact famous for offering the chance to swim with wild Manta Rays. 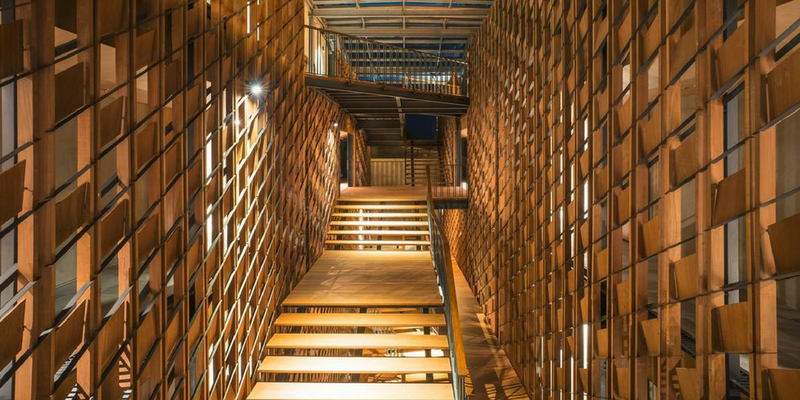 As such, If you’re staying here for several days, I’d certainly think about booking a day trip! So, there you have it! 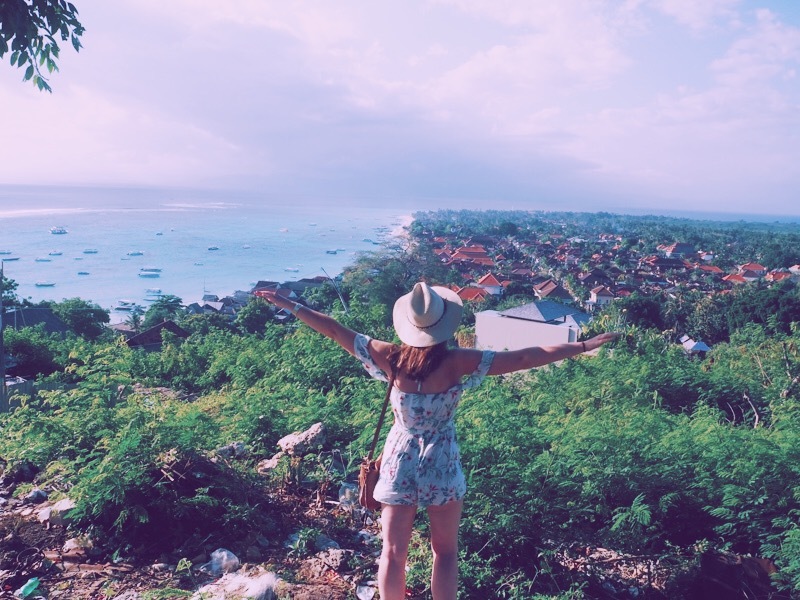 My Top 5 Things to do in Nusa Lembongan… I fell in love with this little island and if you take the time to visit, I’m almost certain you will too! Hey there! I live in Bali and I love Nusa Lembongan! I can not wait to go back and do all of these things! Last time I went I missed out on a couple! Thanks for sharing!! It would be cool to say you had me at “white sand beaches”, but the truth is that “delicious sea food” did the trick for me!! This is an area we still haven’t explored and your beautiful pictures really inspired us a lot! We buckedlisted it, thank you very much! 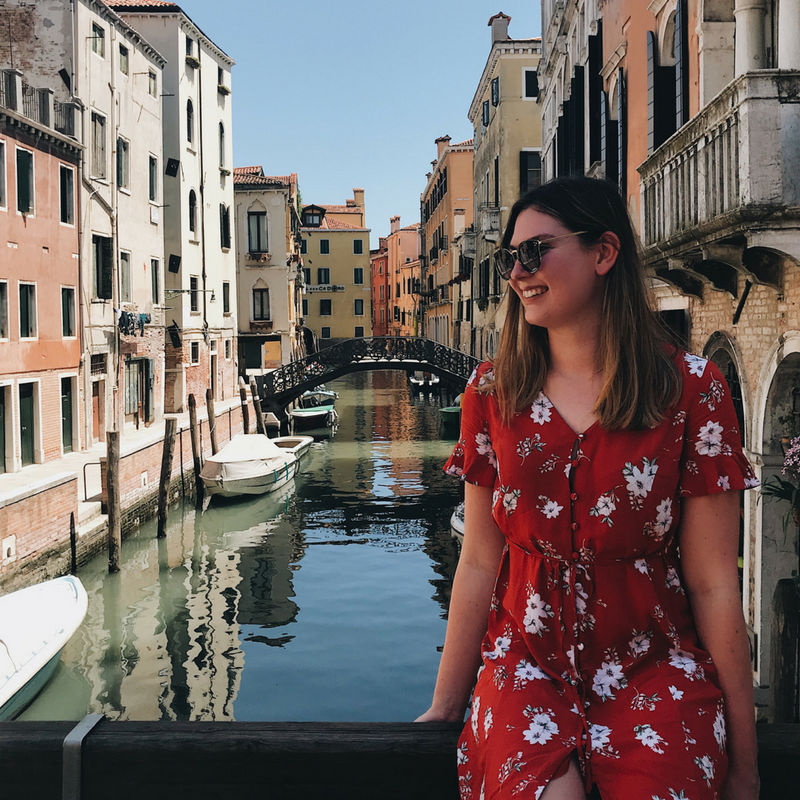 Love the look of your blog! This post was great, makes me regret having to cancel a trip to Bali a few years ago!! Live and learn I guess!! Hopefully I’ll be able to put this post to use in the future!! Normally I look at people’s lists and think I’d maybe do a thing or two but every single thing looks incredible! Panorama point is accurately named. That beach looks incredible and I hate swimming so all the better! 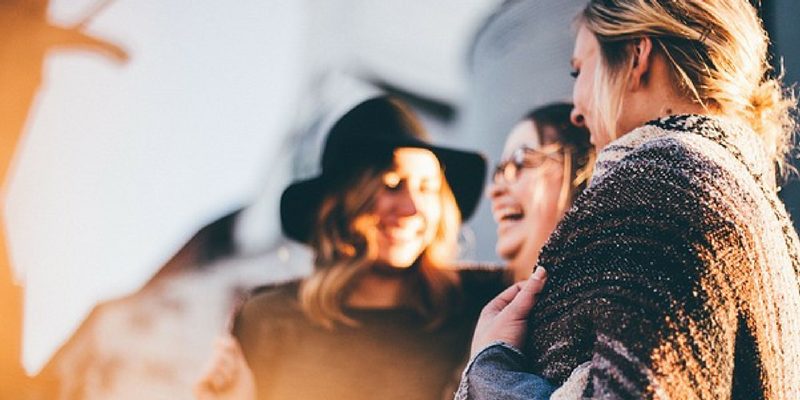 Oh my gosh – I want to do all 5 of these things! 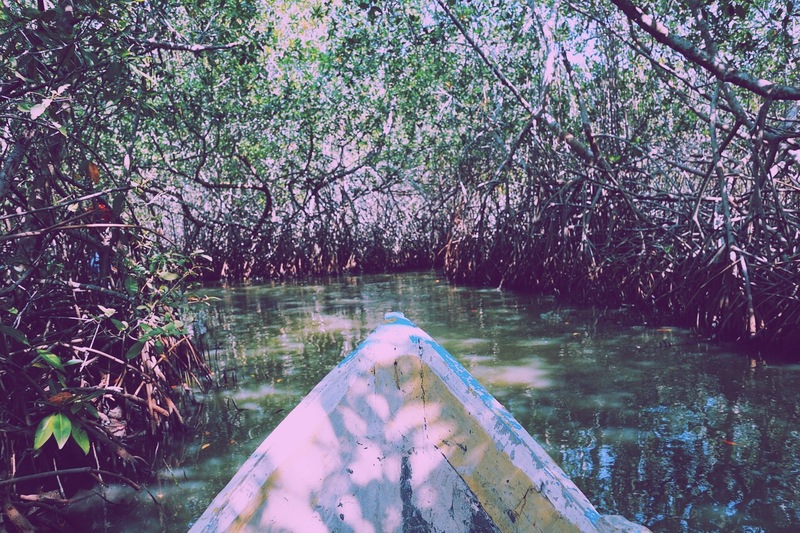 At first when I saw the Mangrove Forest I thought of a crocodile infested swamp. But if it’s sandy and teeming with fish, that would be awesome! This looks like a gorgeous place to visit. The Devil’s Tears outcropping reminds me of a similar place in Acadia National Park in the US. I’d love to be able to check the one out here and see how they compare! I’m heading to Singapore in October and have been debating on whether I should visit Malaysia or Bali while there, this article has me leaning more towards Bali. This island looks incredible. I love the abundance of activities to do! All three of these islands seem amazing! I got the idea that I could spend ages there! Great photography and a lovely guide. The Devil’s tears is probably a suiting name for a place like that! I’m going to Bali in a couple of days! I’m now thinking about going to the Nusa islands too! Great post!